I've looked through the forums and haven't found a real solution to this issue. 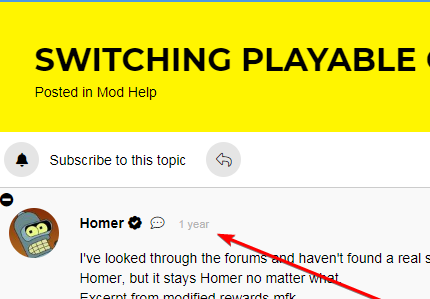 I've been trying to make the playable character in Level 1 Ned instead of Homer, but it stays Homer no matter what. Is this something to do with the fact that Ned isn't a playable character in the base game, or is there something else that needs to be changed? Jake Andreøli https://dl.dropboxusercontent.com/s/t2b83nmijvrbk74/chrome_2018-11-19_14-55-29.png This post is over a year old and is not relevant anymore. I'm locking this topic now. This post is over a year old and is not relevant anymore. I'm locking this topic now.